After the recent attack in Karachi Airport, there were images floating in the internet showing Google Maps screenshot of plane blown up like in a plane parking bay. I happen to read the Times of India article, which doubts about the date on which image would have been captured by satellites for Google. 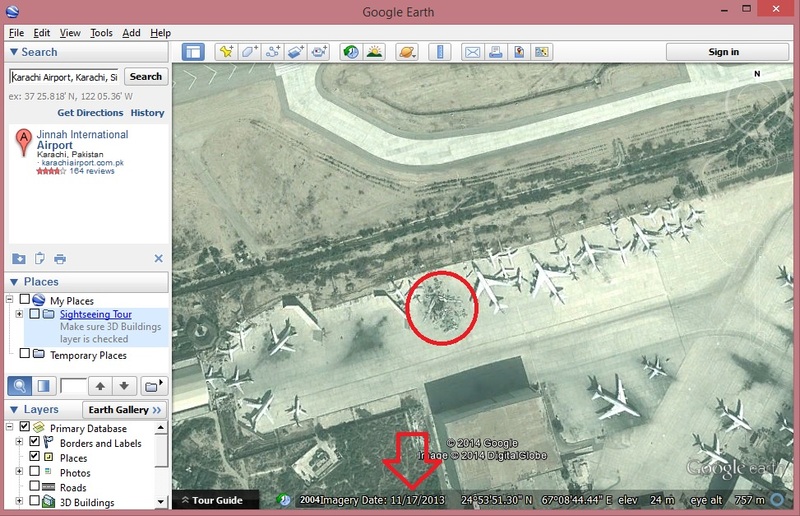 After checking the image in Google Earth, I could find that the image of Karachi Airport, shown in Google Map was taken on 17 November 2013, as per the imagery date shown in the Google Earth. The screen shot is given below for reference. Also, check how to find the date of image captured by satellite in Google Maps. Let Google Index Your Brain !! !